The grace exhibited in the interior and exterior spaces is brought by the hands of the artists Loris Cecchini and Fernando Mastrangelo. Alton Bay joins a number of new luxury developments elevating the historic heart of Mid-Beach, which is recognized for its quiet elegance, natural beauty and relaxed ambiance. From high-end retail to art galleries and world-renowned dining hotspots, amid some of the finest architecture in Miami, the area attracts audiences from every corner of the world. This cosmopolitan convergence is the foundation of the neighborhood’s cultural scene that is distinguished within Miami. 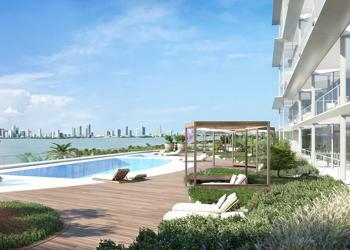 Alton Bay is uniquely located at the highly accessible entry to Mid-Beach, upon a 1.8 acre site with unparalleled views of Downtown Miami and Biscayne Bay. Every detail and architectural component of the condo, will complement the surrounding environment with spaces bathed in natural light. Bofill’s transparent glass architecture will highlight Biscayne Bay’s transcendent views from dawn to dusk. 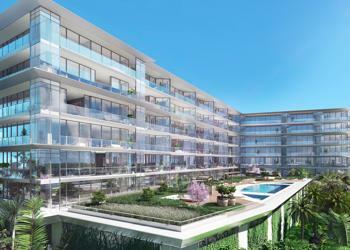 Surrounded by natural elements, Alton Bay welcomes you to a lifestyle of sophisticated leisure. 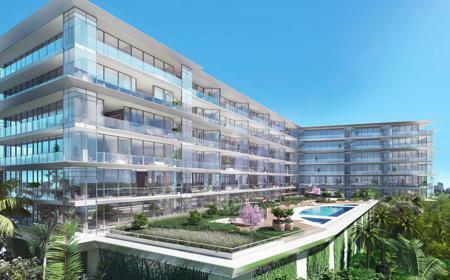 Its 78 artfully-designed residences will feature common living areas adorned with a luxurious décor and detailed finishes, creating a functional and contemporary style. 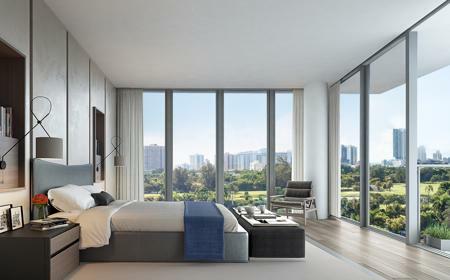 The 10 feet floor-to-ceiling windows allow natural light through the glass-enclosed residences, each home features Poliform kitchens, along with Sub-Zero and Wolf appliances and a Savant home automation system. A lifestyle of true sophistication is born through the vision of master architect Ricardo Bofill, founder of Ricardo Bofill Taller de Arquitectura, a Barcelona-based architectural firm. Setting new standards in simplicity, functionality and luxury, his designs have left a regal footprint around the world. Noted for his signature design philosophy that embraces the “genius loci” or the “spirit of the place”, Bofill produces a modern botanical refuge of 78 private residences at Alton Bay, encompassed by a stunning glass façade, reflecting Mid-Beach’s distinct feel and its proximity to the ocean and Biscayne Bay.